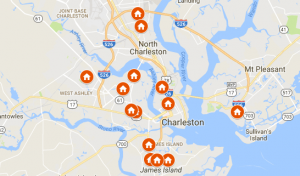 Are you thinking about selling your house in Charleston? In addition to a traditional listing or a direct sale, you can sell your house via a rent-to-own agreement. For many people, it is proving to be the solution they have been looking for when it comes to selling their Charleston homes! Learn more about the pros and cons of selling your house via rent to own in our latest blog! Have you ever considered using a rent to own agreement structure to sell your Charleston house? It can be an excellent way to sell if you do not the need the money from the sale upfront in its entirety. Here are a few pros and cons to consider before selling via rent to own. When you choose a rent to own agreement as a way to sell your Charleston house, you will receive a good size deposit up front. In addition, the price of the monthly rent will be higher than with a traditional rental. You will be able to decide on the price you want and set the terms accordingly. The monthly rent will go towards the price of the house, and once the rental term is complete, the tenant has the option to buy at a predetermined price. No matter what the market does, you are able to secure the price of the house upfront. By setting up the sale via a rent to own structure, many more people will have the option to buy. There are tons of great people out there who want to buy right now but may not qualify for a traditional loan at the present moment. By allowing them to rent to own with an option to buy at the end of the rental term, you are letting them have some time to get their credit and finances in order so they can qualify for a loan to pay you the balance of the sale price. When you own a rent to own property, you are in essence, creating for yourself a monthly income stream, (well as long as the agreement is in place.) You will have highly vested tenants who will pay you each and every month to live in the home. If someone plans on eventually buying a home, they aren’t going to do anything to damage it. In fact, the opposite. Your tenants will want to take care of the house as if it were their own. They will also make sure to pay on time as defaulting on the rental terms can nullify the contract. If at the end of the rental term, the potential buyer opts against a purchase, any monies paid will stay with you. You keep the amounts paid in rent as well as the initial deposit. You won’t likely get the full balance of the home for a couple years. If you don’t need the money for another purchase, this isn’t much of an issue. Your potential buyer could decline the option to buy at the end of the rental term. They might not be able to afford it, or they may have found a property better suited to their needs. This isn’t necessarily bad. If your buyer should fall through, you get to hang on to the deposit and raised rent that was collected. Because sale prices are locked in when the agreement is made, if the market goes up, you could miss out on extra profits. However, this goes both ways. If the market should drop, the agreed upon sale price will remain the same.